It was a blast painting this Binghamton boat with my students this summer. This boat is a part of Edgewater history. Everyone painted so much better outdoors. It must be the fresh air. 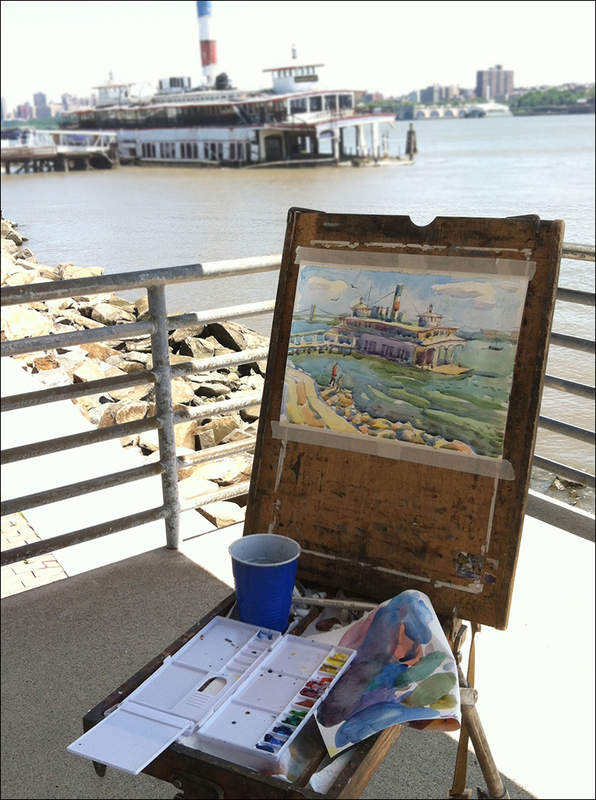 Some of my watercolor landscapes will be available at the Edgewater Annual Art and Music Festival on September 14 2014. 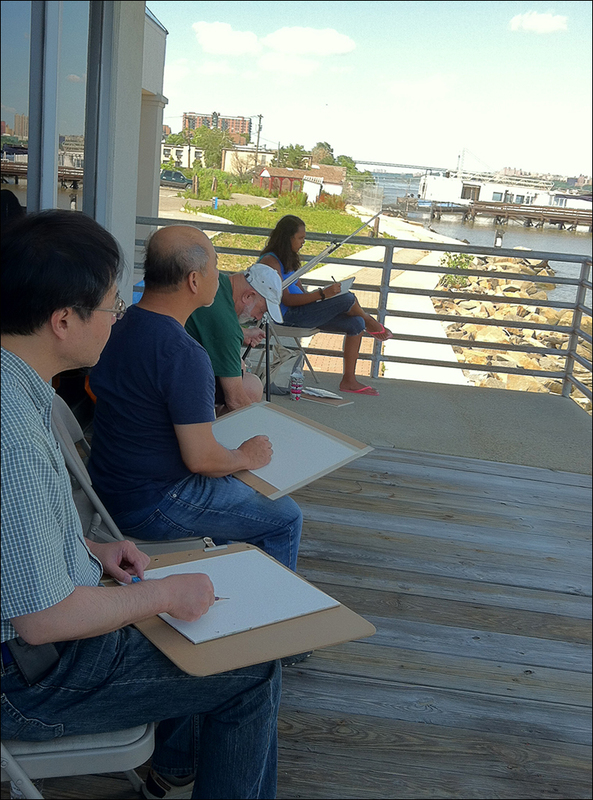 This entry was posted in Art Classes, watercolor and tagged Binghamton boat, plein air painting, watercolor on August 25, 2014 by Olga Rogachevskaya-Chu. 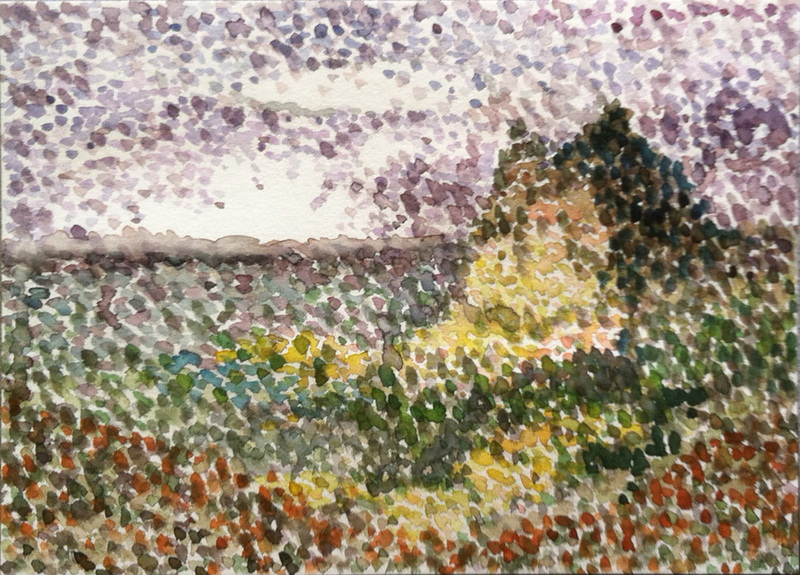 One of the most liberating things for artists is to try Pointillism. After a short demonstration students enjoyed a different approach to mixing color. Max took full advantage of optical color mixing by painting this luminous watercolor landscape. This entry was posted in Student Paintings, watercolor and tagged adult art class, pointillism, watercolor on August 15, 2014 by Olga Rogachevskaya-Chu. 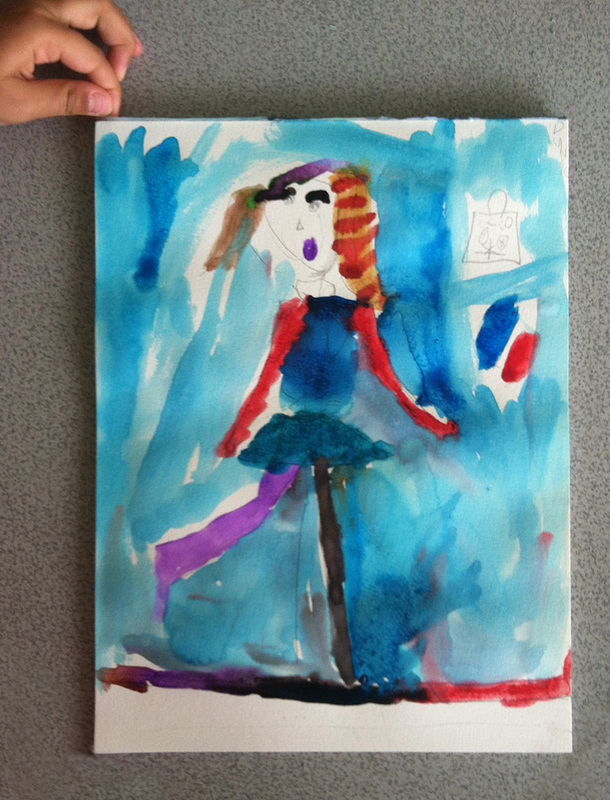 My 6 year old student Dunya painted herself as a dancer. Kids enjoyed learning about proportions and painted themselves in their favorite profession. This entry was posted in Children's Artworks and tagged children's art class, draw figure, watercolor on August 11, 2014 by Olga Rogachevskaya-Chu.